We finally made it into Europe, you guys! We’ve been eyeing our European Kickstarter backers with subtle envy these past few years and knew we had to cross the Atlantic eventually – and this year’s musikmesse couldn’t have come at a better time. 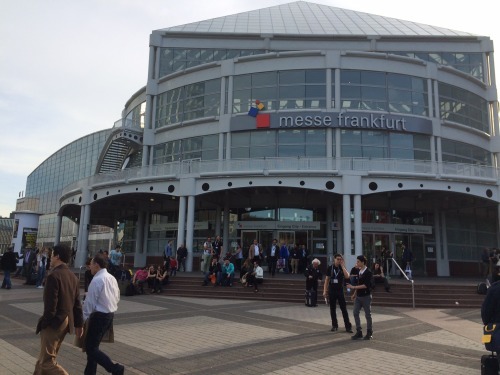 Musikmesse, for those of you who aren’t really familiar with the international music show scene (as we were before we jumped into this bandwagon) is probably Europe’s most important show. Every single year we lived it through pictures and comments from all the amazing people we meet at other shows year-round. But this time – this time we hopped on a plane to Frankfurt and flew over there to live it ourselves. And boy was it worth it! Everyone was super nice and everything was super awesome at musikmesse 2015 – including the food (beer counts as food, right?). We made tons of new friends that will hopefully help us get our guitars into many different countries (not only in Europe!) within the next few months. 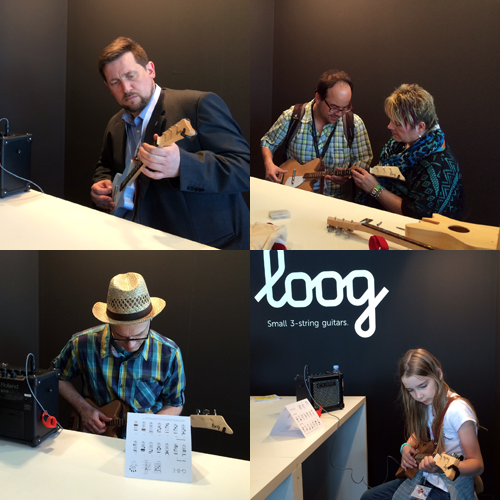 And, to top it all, we fell in love with our guitars all over again as we watched so many people (seriously, so many) try them out in our little impromptu playing corner we built in our stand.